Vlyzko, Oleksa [Влизько, Олекса; Vlyz’ko], b 17 February 1908 in Korosten, Novgorod gubernia, Russia, d 14 December 1934 in Kyiv. Poet. He studied at the philological faculty of the Kyiv Institute of People's Education. 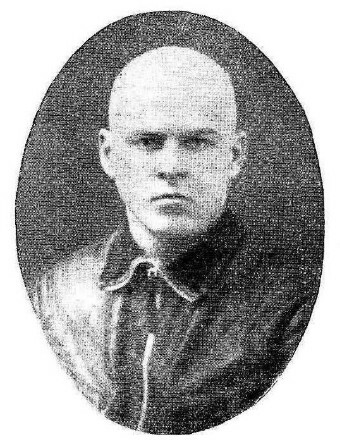 He belonged to the literary organizations Molodniak and the All-Ukrainian Association of Proletarian Writers and later worked on the futurist journal Nova generatsiia. His first published poem was ‘Sertse na nord’ (Heart to the North) in the journal Hlobus (1925). 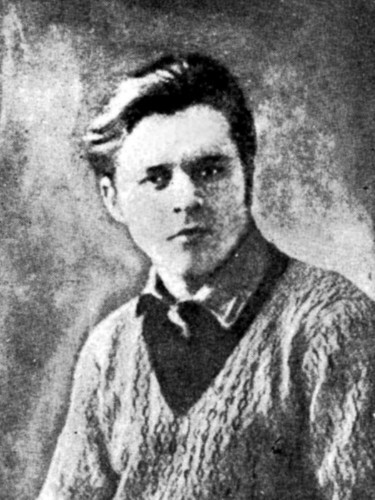 Although Vlyzko paid the obligatory tribute to the Soviet way of life, his poetry was characterized by a search for new socialist forms of artistic expression, a cheerful romanticism, a love of the sea as a primal element, and interest in the adventures and passions of people of strong character. Vlyzko's poetry appeared in such collections as Za vsikh skazhu (I'll Speak on Everyone's Behalf, 1927), Poeziï (Poems, 1927), Zhyvu, pratsiuiu (I Live and I Work, 1930), Knyha baliad (The Book of Ballads, 1930), and P'iatyi korabel’ (Fifth Ship, 1933). In December 1934 he was arrested, accused of counterrevolutionary diversionary activities, and shot along with 28 other writers and cultural activists. During Nikita Khrushchev’s ‘thaw’ he was ‘rehabilitated.’ A posthumous collection was published in 1963, Vybrani poeziï (Selected Poems).